After you upload and organize your products you are ready to go. All you need to do is connect a payment option and you can start selling. 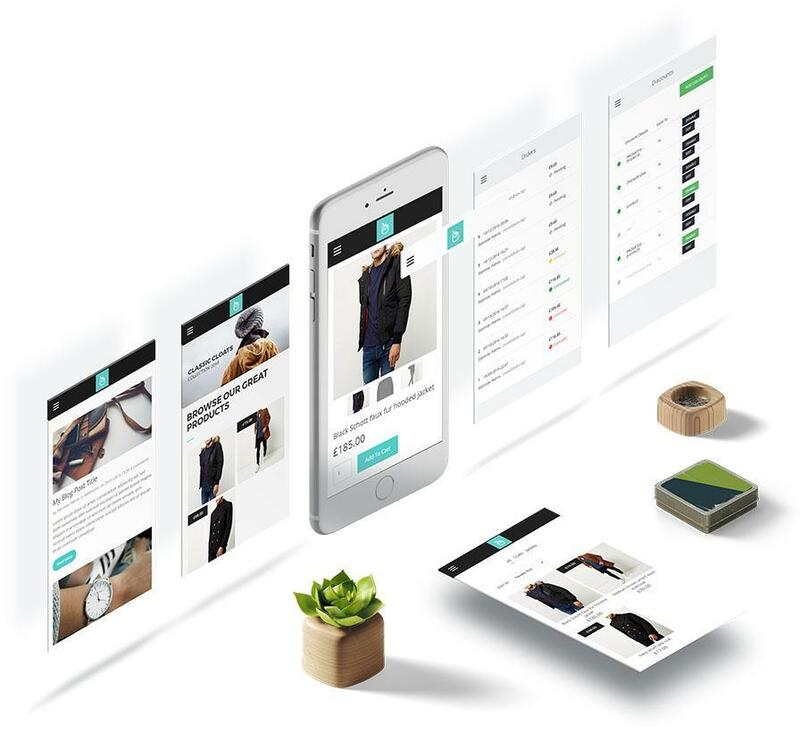 Your online store will look amazing on any device. We know how important it is to have a great looking website on phones and tablets. That's why everything you build with Wottaspace is made to look stunning and easy to use. Our most important goals are simplicity and security. That’s why all Wottaspace and third party domains connected to a website are automatically secured with a SSL certificate for free. Your store are now encrypted and totally safe. In addition, with Wottaspace you can receive payments with all major credit cards and PayPal. In Wottaspace we don't believe in charging you for what you sell in your online store. Everything you make is all for you. All our plans are with 0% transaction fee on our end. Start your business and don't worry about sharing your profits. 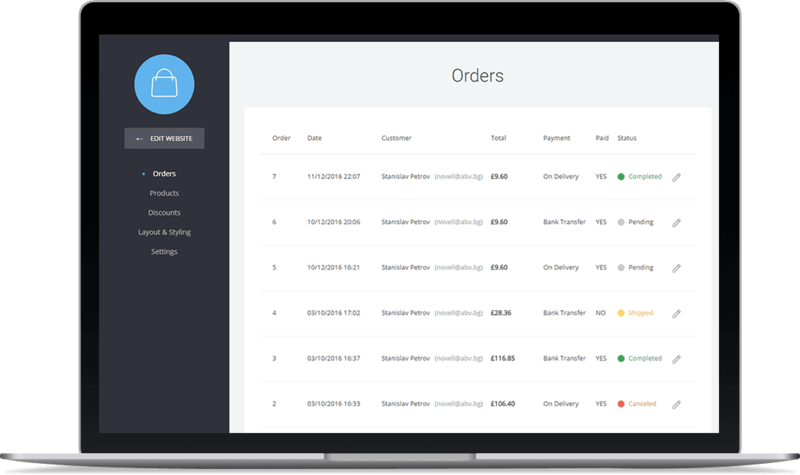 Keep track of your orders and your clients. Your own little CRM to control your business. The looks of your website is one of the main selling points for your products. Select a beautiful theme and start selling today.